You are invited to attend meetings during the school year to discuss your child’s targets and progress made towards these. The appointment times will be available at the school office, and parents may either sign the list themselves or phone and ask the secretary to sign up a time for them. Parents and children are invited to sign the current year’s 'Home/School Agreement' during the autumn meeting. Should you wish to discuss your child’s progress with the class teacher at any time during the year, please contact the class teacher to arrange this. Your child’s teacher also arranges a meeting at the beginning of the Autumn school term to explain the nature of the work that your child will be involved with during the coming year. 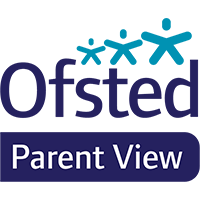 If you have any concerns or matters that you wish to raise with the Headteacher then please arrange an appointment through the school secretary.